The American Botanical Council (ABC), a non-profit organization also known as the Herbal Medicine Institute, has announced that for the first time, the James A. Duke Excellence in Botanical Literature Award has been awarded to a book about aromatherapy. 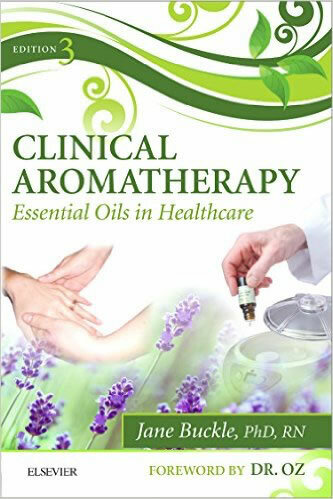 The recipient for 2015 is Clinical Aromatherapy: Essential Oils in Healthcare, 3rd edition, by Jane Buckle, PhD, RN, which is published by Churchill Livingstone. This annual literature award was created ten years ago (2006) and is made to books that make a significant contributions to literature in the fields of botany, taxonomy, ethnobotany, phytomedicine, and related subjects. The winner of the 2015 James A. Duke Excellence in Botanical Literature Award has been described on the ABC's website as 'the first completely peer-reviewed and evidence-based book on the clinical uses of essential oils'. Its author Dr Jane Buckle explained that the book is intended to provide an overview of research into the clinical use of essential oils and their current uses in hospital departments. She went on to say that "it is intended for health professionals who might be interested in what clinical aromatherapy could add to their practice and any aromatherapist who wants to know about modern research." Herbalist and aromatherapist Mindy Green reviewed Clinical Aromatherapy in the ABC's periodical HerbalGram issue 107, where she said that the book includes an excellent overview of how essential oils can contribute to a healthier medical system, enhancing patient care and reducing medical costs.
" Jane Buckle's book elevates the use of essential oils to a high standard and provides a strong research basis for clinical applications". This textbook has also been well received online with many enthusiastic reviews on both Amazon.com (USA) and Amazon.co.uk (UK). The ABC James A. Duke Excellence in Botanical Literature Award will be presented at the 11th Annual ABC Botanical Celebration and Awards Ceremony on March 10, 2016, in Anaheim, California. News is included to provide information about current issues but not to endorse any particular view, activity or product. Any opinions expressed in this article are not necessarily those of IvyRose Ltd.. At least some of the material on this page was released by the source/s indicated below on or about 18th February 2016.This article has been prepared by IvyRose using information and quotations that may also be from various other sources as well as any further comments, explanations and images credited individually.